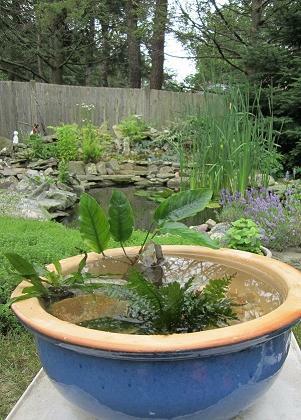 In the shadow of a tranquil water garden, create a soothing centerpiece. Step 2: Seal holes with great stuff and let dry overnight (24 hrs). 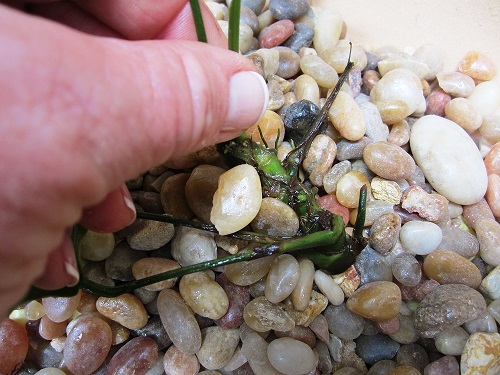 Step 2: Select aquatic plants – Sold at some Home Depot stores or may be purchased at a pet store. 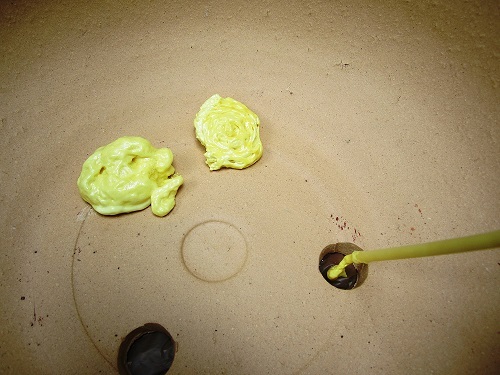 Step 3: Pour a base of gravel, to cover the great stuff and provide a base for the plants roots to be held. 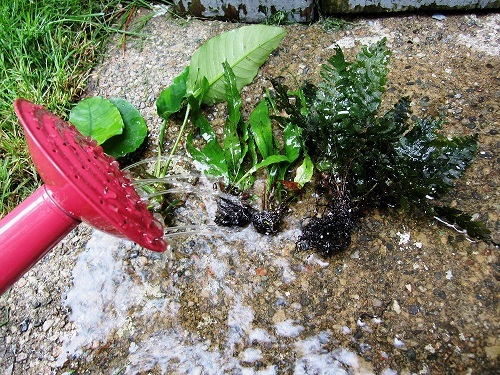 Step 4: Our plants came with a gel to preserve them, rinse off. 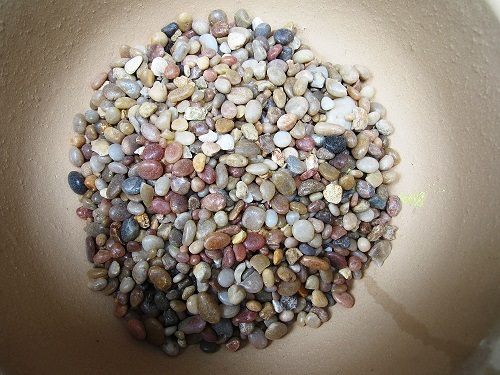 Step 5: Add well rinsed garden rocks to provide dimension and interest to the design. Step 6: Add plants around the rocks. Step 7: Add water slowly, with a watering can. 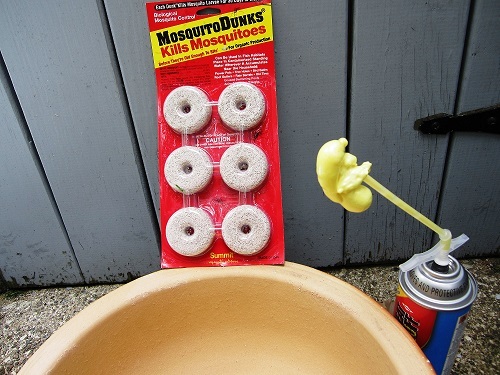 Step 8: (Optional) – Add mosquito dunks, if you are intending to keep your water garden outside. 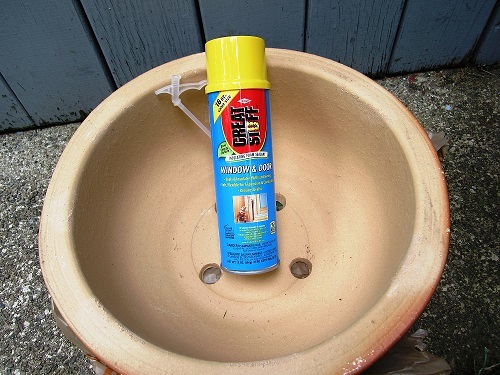 This will keep mosquito larva at bay. Plants will grow and adapt to their new home. 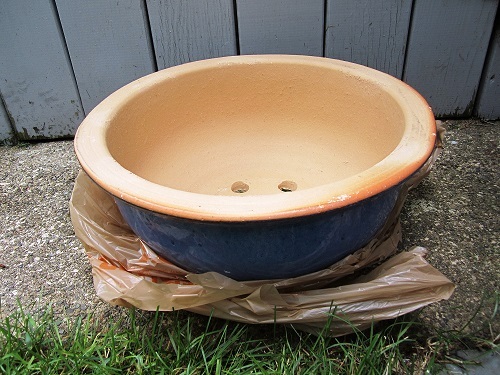 Keep a check on the water level as natural evaporation will cause the level to drop. 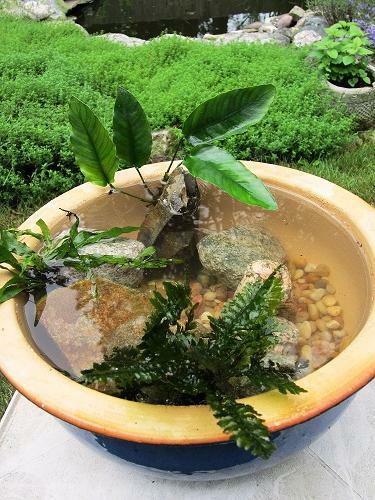 Add fresh water weekly.